Runners found the course next to the shoreline most of the way, including here on the north shore a few miles from Manson. 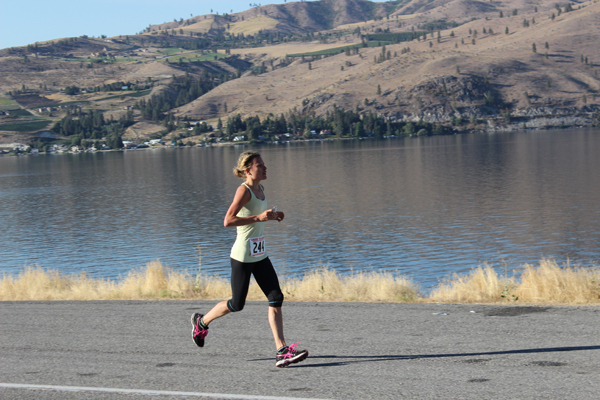 MANSON — The next Lake Chelan Shore to Shore Marathon, Half-Marathon and 10K will be held Sept. 7, 2013, race organizers announced Monday. The opening of online registration will follow later this month, they said. The announcement comes a few weeks after the 2012 event was held. 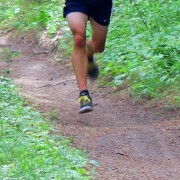 The race attracted 400 runners and won good reviews from participants and the local business community. “We’re already planning for 2013 and looking for ways to make the race even better,” said Steve Maher, a partner in RunWenatchee, which puts on the event for the Lake Chelan Chamber of Commerce. At this year’s event, race organizers increased the aid/water stations to 13, recruited more than 100 volunteers, closed more lanes of traffic to improve safety, and fine-tuned bus transportation to the starting points for the marathon, half-marathon and 10K. Chamber officials estimated Lake Chelan Shore to Shore attracted about 1,200 people (the 400 participants plus family members and friends) to the community. Of that number, about 70 percent came from the Puget Sound region, said race organizers. 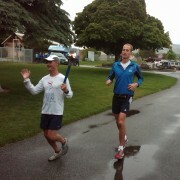 Packet pickup was held the Friday night before the race at Chelan’s Vin du Lac winery. Many of the athletes took advantage of a special dinner and wine offer. Manson businesses reported good traffic on race day. The finish area was located on Pedoi Street above the Manson Bay Marina. Organizers donated money to several school and civic groups, including the Chelan wresting program and the Manson cross-country team, who volunteered on race day.